Marlène Melpignano has been an officer at the Autorità Garante della Concorrenza e del Mercato (Italian Competition and Consumer Authority) since 2008. She is currently national expert seconded to the European Commission - Directorate General for Justice and Consumers, where she has been responsible for the Evaluation process of the Consumer Rights Directive (CRD) and for the CRD Report to the Council and the European Parliament. She has also been member of the task force for the Impact assessment for 'A New Deal for Consumers' and member of the team in charge of the subsequent legislative Proposal that was adopted by the European Commission on 11 April 2018. She served as case handler of several EU-pilot cases and infringement proceedings. Prior to that, she served as a seconded expert to Italy's Ministry of Economic Development (2013-2015), working for the Undersecretary in charge of competition policy. In this capacity, she was Member of the Competition Working group in charge of drafting the 2015 Annual Competition Law (law 124/2017). She contributed to several proposals on the insurance reform as well as on consumer protection in various fields. She participated in the legislative procedure of transposition of EU directives, such as the Directive on Consumer Rights, and dealt with the activities carried out in the framework of the CNCU (Italian Council for Consumers - representing all national consumer associations). 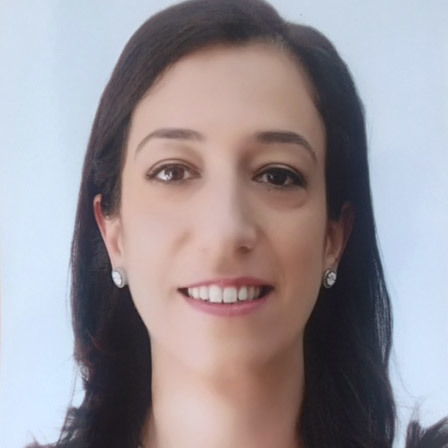 As officer of the Italian Competition Authority (2008-2013) she dealt with ECN working group topics relating to general development in competition law, and in particular with specific issues of cartels, leniency programme and cooperation. She followed the main activities of the cooperation in the framework of the ECN, ICN and OECD, with regard to policy issues and cases in the area of antitrust and merger. She was also responsible of the Consumer Protection Cooperation Network and representing the Italian Competition Authority in the CPC meetings, workshops on consumer protection and in different common actions carried out by National Authorities. In 2006-2007 she served as temporary agent at the European Court of Justice, within the Cabinet of the Advocate General Professor Paolo Mengozzi. She dealt with Opinions of the Advocate General in various fields, including competition, trademark and patent, taxation, environmental protection. She has a Law degree from the University of Rome "Luiss Guido Carli" and a LLM Master of Laws in European Litigation Law from the University of Luxemburg and University of Strasbourg in partnership with the European Court of Justice. She published several papers in Italy's leading law journals.